IT’S NOT SO MUCH ABOUT WHAT YOU EXPECT TO RECEIVE FROM YOUR SPOUSE, BUT WHAT YOU ARE PREPARED TO GIVE. Great post! I particularly love the last line because it takes God to make a marriage relationship work. Thank you, Sonnie. I totally agree with you. Brilliant post! 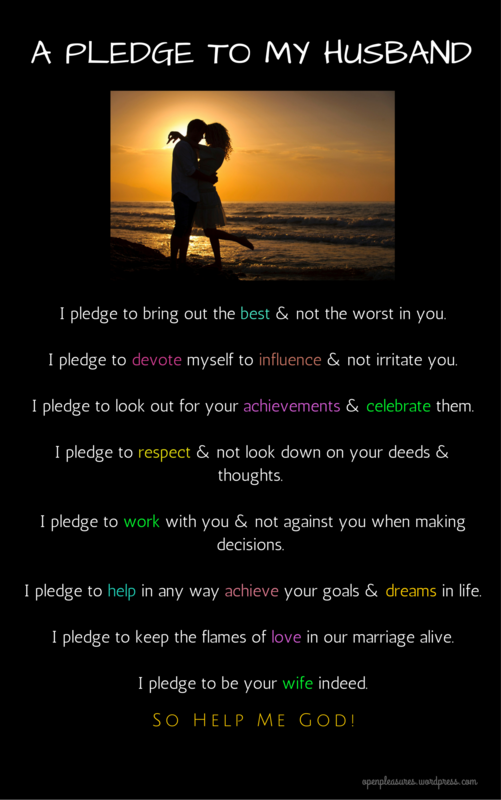 These pledges are pretty charming with a great potential to ignite marital love and commitment. Yes, indeed. Thanks a lot.